The Quiet Life x Lakai Belmont "Red"
LA&apos;s The Quiet Life has linked with Lakai for a collaborative take on the brand&apos;s minimalistic Belmont model. 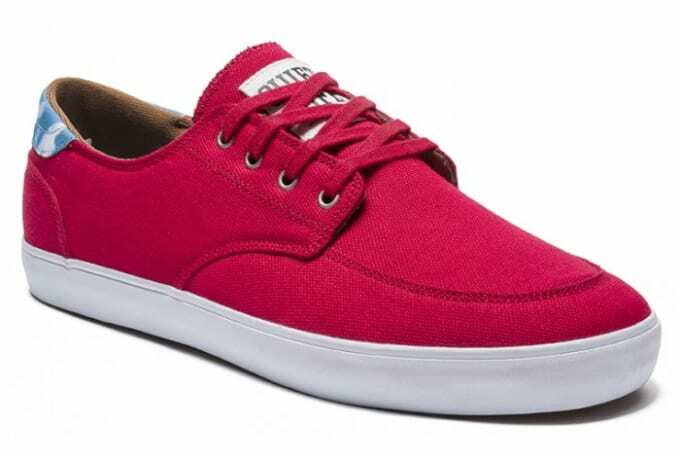 The low-top sneaker has been comprised of red canvas and is captivated by cloud detailing on the heel and via the insole. Tonal laces accompany the collaborative kicks, while Lakai and Quiet Life branding have been utilized at the heel, atop the tongue and on the insole. A white midsole breaks things up on the pair underneath, as you can pick up your size today through select Lakai providers worldwide. Head on over to Lakai&apos;s website now to purchase for $62.